Just like your office or brick and mortar store, a refresh is a critical part of maintaining a modern space. No one wants to walk into your business reception with outdated designs, nor a shopping mall with a checkout that’s from the 90s. When it comes to updates, websites are not excused, and there are a few things you should keep in mind if you’re considering a redesign. So, if it’s time to swap out the proverbial upholstery, replace the metaphorical carpets and finish it off with a coat of fresh digital paint, don’t wait until you’re losing customers to clean up your website - do it now. Here are a few factors that’ll help you determine if your website needs a refresh. Website traffic is great but it’s not necessarily the metric for success. If you’re getting plenty of traffic but your bounce rate is high (meaning people quickly leave after visiting your website), there are a few factors that could be contributing. Let’s face it, we’re all busy and we’re all impatient. If a website doesn’t give us what we want immediately, we are more likely to leave. Slow load times may be what’s causing your high bounce rate and could be impacting the reputation of your page. You can check your load time with a free online tool, like Google’s very own PageSpeed Insights. If it seems to be loading slowly, have a developer look over your site’s code and clean it up. This makes it easier for search engines to read and speeds up the loading process. Do visitors see a 404 page not found? Are there broken links? Is java script downloading in the background? All these little nuisances can make a customer switch off. To determine whether a technical error is stopping your customers from getting onto you page, look at your site from a visitor’s point of view. It’s also good to look at it using different browsers or, if you’re using Chrome, check it out in ‘incognito mode’. Google favours content that meets the needs of its searchers. Does your website answer the questions people are searching for? The best way to ensure it does is to make sure your content is optimised for relevant keywords. Search Engine Optimisation can help make sure that those who find your site will actually find it useful. SEO can be very technical and, as a business owner, you may not have the time or expertise to do this yourself. Melbourne IT offers managed Search Engine Optimisation, taking the stress off your hands and ensuring that your site is consistently climbing the Google ranks. Getting your website’s user experience right is the single thing you should do before investing in any advertising. You want to ensure your website converts visitors to sales and leads before sending traffic to it. 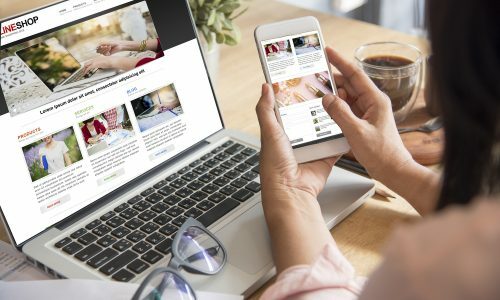 = User experience is often left to trial and error; however, there are a few essential considerations to make when optimising your site for your visitors. Your site map is really important. You have to make sure that once a visitor hits they can move around from page to page easily and find what they’re looking for without any fuss. A redesign may be necessary if you’ve got a page that frustrates or exhausts a user before they even reach what they’re there for. Is your website mobile friendly? Most users browse on their smart phone or tablet device, while purchases are usually made on a desktop. If you have a website that doesn’t translate to mobile, then you may be missing out on valuable traffic. As humans, it’s in our nature to be drawn to things that are attractive to look at. It’s no different when it comes to websites. Your website should look fresh, not tired an outdated. Having a professional design and a modern layout is paramount to holding the viewer’s attention and the longer they stay on your site, the greater the recall and the more likely they are to make a purchase in the long term. Have you crowded your website with videos, images and lots of copy? While you may think you’re providing value per page, it’s more likely that you’re overwhelming your visitors. Some empty space and room to breathe can really impact the first impression of your website. Less is more couldn’t be truer in this case, so keep your structure minimal, avoid too many pictures and keep your content concise. Pop-up banners have become quite popular on websites these days, whether they are spruiking a deal, asking visitors to subscribe or simply checking to see if they need help (as with the latest Chatbot craze). However, there is such thing as too much. Your visitor wants to be able to concentrate on the content they’re on the site to view, but sometimes it can be nigh on impossible to do so with so many things popping out at us. Too many pop-ups could be driving your visitors away before they even get to your content. Review and assess your pop-up plugins and be really focused and refined about which you choose to use. If your checkout process takes step after step after step just to purchase a small item, you’re going to lose a lot of customers on their way through. Making the purchase process as smooth as possible means impulse buyers have less time to reconsider their purchase. This is why many eCommerce stores will have a ‘Registered User’ and a ‘Guest Checkout’ option for making purchases. Only ask for the information you really need to streamline the process and see your conversions soar. If your site is well and truly ready for a new look but you’re not confident to do it yourself, Melbourne IT have a range of website building services to suit your needs. Don’t hesitate to get in touch with an online solutions advisor today to discuss your web design options.